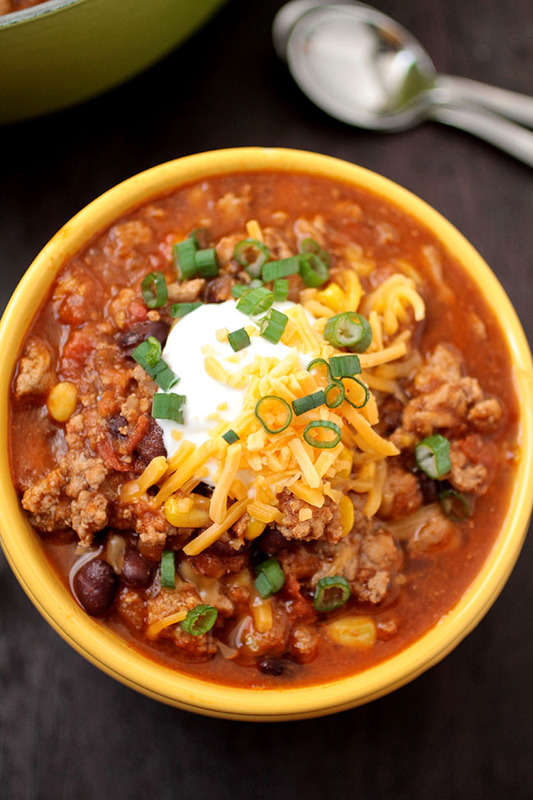 Try this quick and easy turkey chili recipe for a lighter version of your favorite black bean chili. 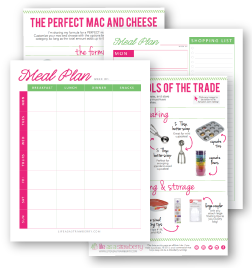 Perfect for chilly weeknights! I’m sorry. Where are my manners? Hi. How are you? Having a nice day? Yes? Okay. I’ve made this chili what seems like a million bajillion times this winter. I tried it once on a whim, and then Kyle and I were like, WHOA. 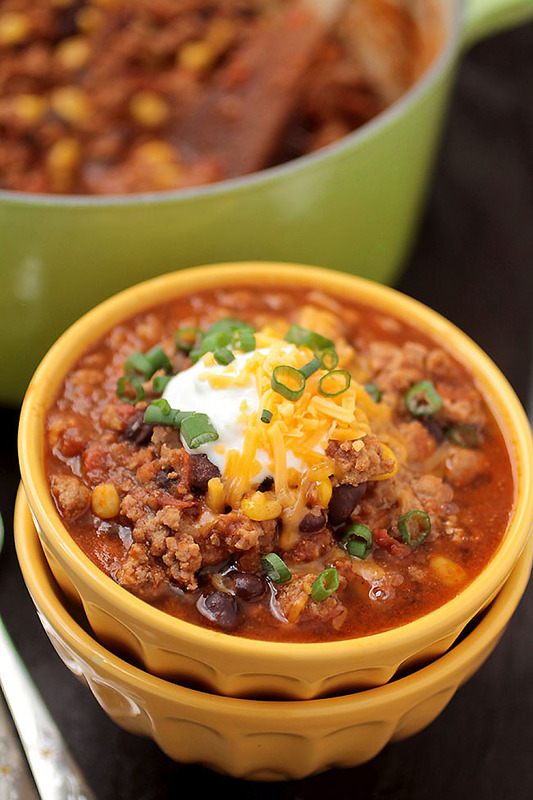 THIS CHILI IS THE BOMB DOT COM. We then proceeded to make it a million bajillion more times. 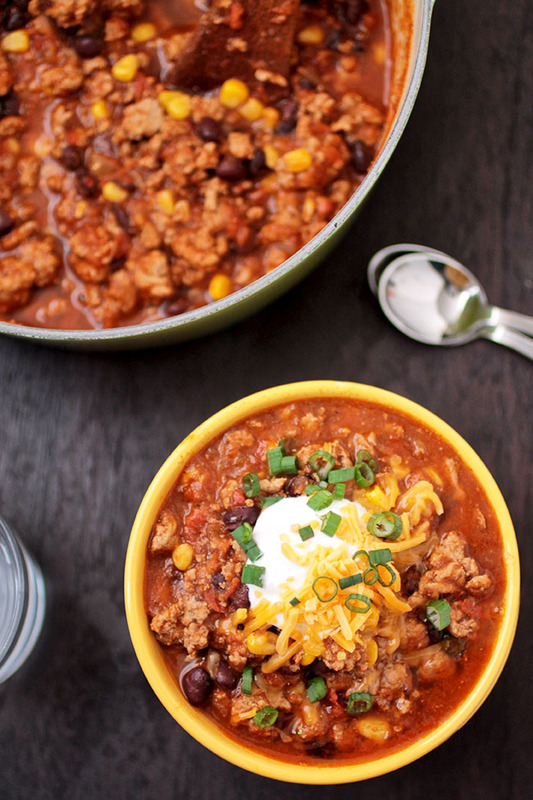 So…I guess what I’m saying is this: I’m in love with this chili. It’s hearty! It’s filling! It’s fast! I’m already working on the infomercial. If you couldn’t tell. Also, if you’re as RIDICULOUSLY FROZEN as I am, you don’t even need to eat it. Just hold a big ol’ bowl right in your hands and maybe put your face right on top of it and soak up all the warmth. And THEN eat it. Or have one bowl for eating and one bowl for warming. Except that once you take a bite of this chili, both bowls will be for eating. Because it’s delicious. In a large pot, heat oil over medium-high heat. Add onion and garlic and sauté until onion is fragrant and has caramelized, about 2 minutes. Season with salt and pepper. Add ground turkey and break into chunks as it cooks with a wooden spoon or a spatula. Cook, stirring occasionally, until turkey is cooked through, 7-10 minutes. Stir in diced tomatoes, chili powder, red pepper flakes, smoked paprika, and hot sauce. If you're sensitive to spicy food, start with half of the amount for each seasoning, then taste and add more as necessary. Reduce heat to medium and bring to a simmer. 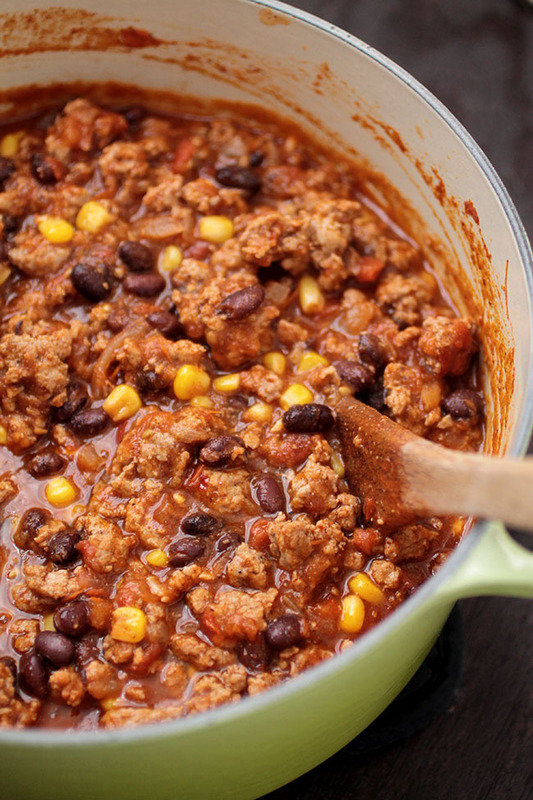 Add corn and black beans to chili and stir to combine. 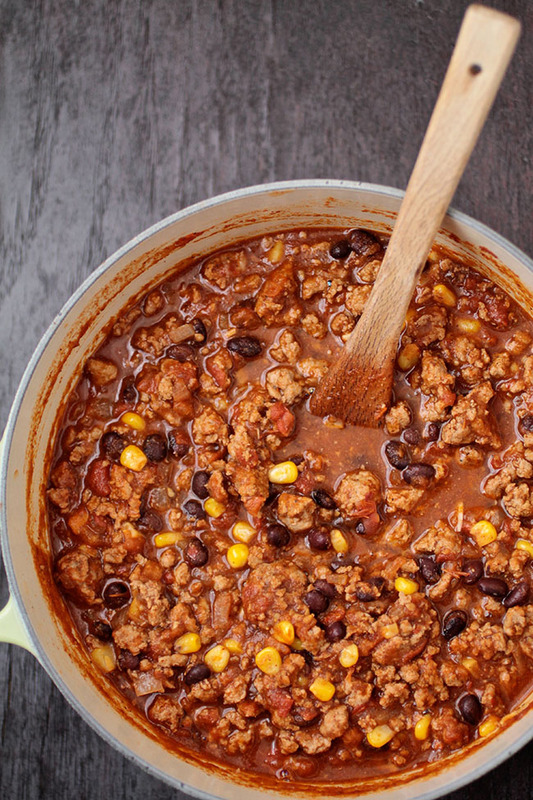 Simmer chili for at least 20 minutes (I usually let mine go longer - 30 minutes to an hour). Taste and season chili to taste. 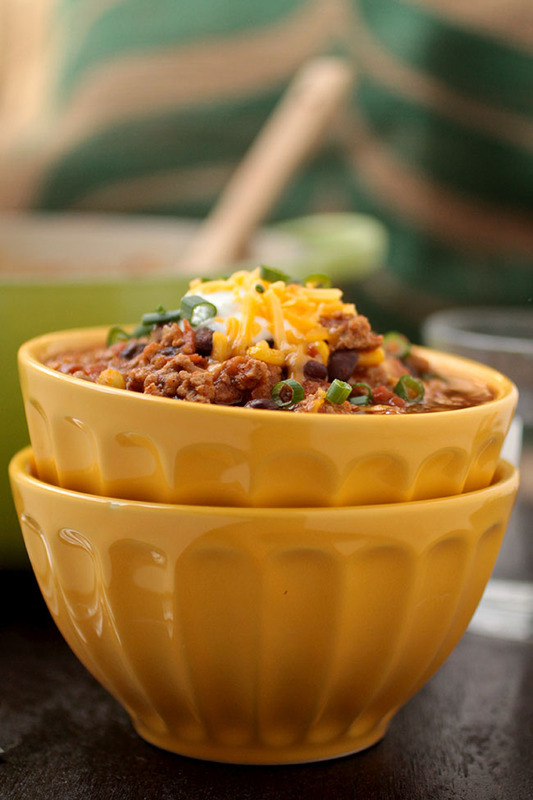 Ladle chili into bowls and garnish with shredded cheddar cheese, a dollop of plain greek yogurt, and a sprinkle of chopped green onions. Serve immediately. This chili is spicy! Add spices in increments and taste as you go if you aren't a spicy food fan. Do you drain the juice from the corn and black beans? If using caned tomatoes use the juice of no? I’m wonderI got too, mine looks pretty dry. I DO drain the juice from beans and corn but I do NOT drain the juice from canned tomatoes – just throw all the tomatoes in there, juice and all! Hope that helps! This is like my 4th time making this recipe & I love it so much! Thank you so much! I’m so glad you like it! It’s one of our faaaaaavorites when the weather cools off! Thanks! You could definitely do this in a slow cooker as well. I wonder if you can substitute canned tomatoes for the romas? Absolutely! I do it all the time. I like to use two big cans of crushed or diced tomatoes, and steer clear of the pre-seasoned varieties. Ooh, it’s coming up to dinner time where I am and this looks extremely appetizing! Love your colourful pictures! This sounds so good right now, as it’s currently 20 something degrees outside. Brrrrrrrr…. 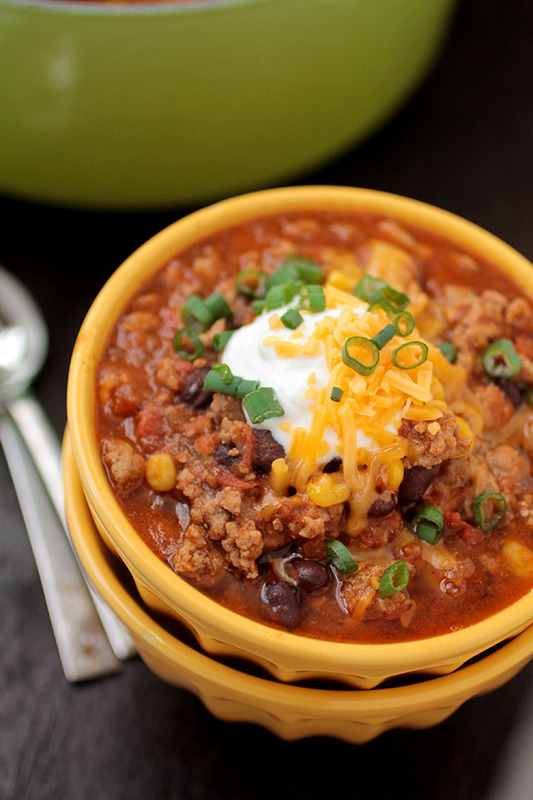 And somehow you’ve managed to make chili look beautiful!